Marvel is having one heck of a week and there is still more on the way. They released the new Captain Marvel trailer during Monday Night Football. Just today, they finally dropped the very first trailer for Avengers: Endgame and this weekend, they’re set to release the first trailer for Spider-Man: Far from Home. Or should we say trailers? While it hasn’t yet been confirmed, a new rumor states there will be not one, but two different trailers for Peter Parker’s next solo adventure. Over on Twitter, here’s what is being reported. This comes from an often reliable source when it comes to trailer-related news. But before fans get too excited, there is a caveat to this. Two different trailers for Spider-Man: Far From Home are expected to be released online after first debuting at Comic Con Experience in Brazil this weekend. One of them will be the usual teaser trailer and the other will be an international version, specifically the U.K. version, of the same trailer. Often times, the international versions of trailers don’t differ all that much from the main version of the trailer. That said, there are usually slightly different shots or little changes that, when it comes to movies this big, are worth taking note of. Considering that this is going to be the first movie to arrive in theaters after Avengers 4, any frame of footage could come with quite a bit of significance. Either way, we’re getting our first look at Spider-Man: Far From Home very soon to cap off what has been a tremendous week for Marvel Cinematic Universe fans. As far as the sequel goes, not a ton has been revealed heading into the trailer release. 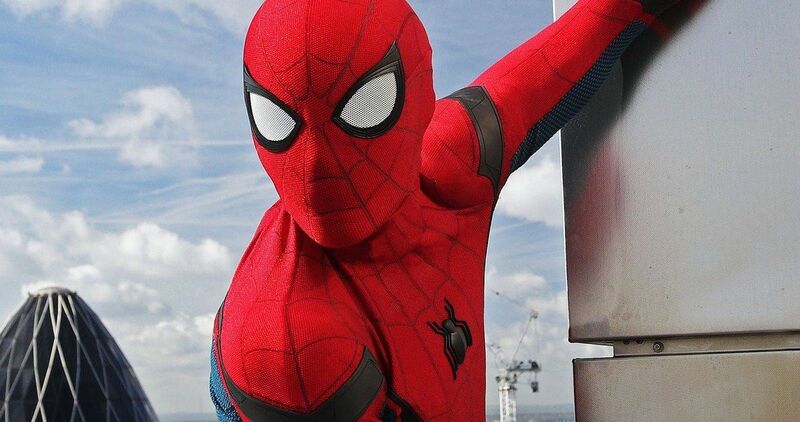 What we know is that Tom Holland’s Peter Parker is going to be taking his webslinging skills over to Europe for the first time ever, which is something new for the franchise. Also new is the addition of the fan-favorite bad guy Mysterio, who is a master of illusion and one of Spidey’s most formidable foes. Jake Gyllenhaal is set to play the character, which the actor recently confirmed in an Instagram video. Though, the rat was very much done with the rag prior to that video being released. In any event, we’ve got a great actor playing a compelling villain, set to do battle with Spider-Man outside of his home turf. Jon Watts is back in the director’s chair this time around. He very successfully helmed Homecoming, which brought Peter Parker into the MCU fold, after first making his debut in Captain America: Civil War. We’ll be sure to bring the trailer your way as soon as it’s made available, so keep your eyes peeled for that. Spider-Man: Far From Home is set to arrive in theaters on July 5, 2019. This news was first reported by Trailer Track.